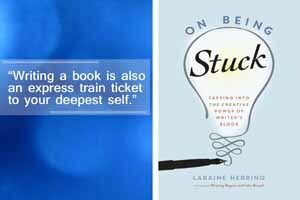 On Being Stuck focuses on personal development block´s and how they affect the writer’s work. 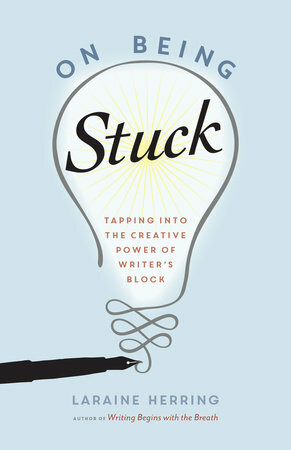 The author refers to writer’s block as a pause on work to pay attention to what’s going on inside us. On Being Stuck uses imagery thanks to “personification, character creation, and active imagination” to embrace, for example, shadow work – false beliefs. Moreover, this book includes practices like meditation, breathing, gratitude and inquiry; therefore, several activities to reach the subconscious mind to deal with writer’s block, for instance, keeping a dialogue with your writing or your fears about writing. I think this book works for people that have neglected their spiritual or personal development practices, and it shows through blocks in their writing, besides that, offers advice for beginners as consistency, commitment to writing, writing a schedule, lack of technical knowledge and for advanced writers as taking risks, research and perfectionism. This book is not everybody cup of tea so read the sample first before you buy it. There are affiliate links. I receive an affiliate commission if you decide to purchase from Amazon, iTunes, Powell’s Books or IndieBound, at no additional cost to you. Thank you in advance.